It’s time for season three of The Bold Type and let’s jump into things. Kat isn’t over Adena and neither are we. Warning: This post contains mild spoilers! Season three picks up a month after season two. 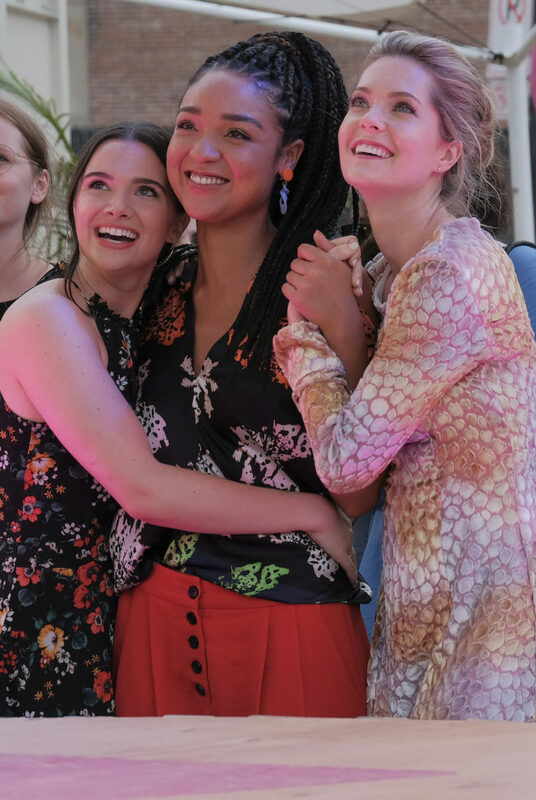 Sutton and Richard are facing the consequences of their couple-outing, Tiny Jane has picked her man from the Ben/Pinstripe triangle, and Kat is absolutely not over Adena yet. The first episode of the season has the ladies dealing with a new boss. A new male boss, in charge of digital media in the wake of Jaqueline’s bold choice to publish Jane’s article about sexism in health coverage at Scarlet. Jane is tasked with writing an article to understand why the new guy is the boss, and learns things aren’t what they seemed. Meanwhile, Kat, the head of social media, has been on a bit of a personal social break, until the new boss points out it’s bad for her image and the companies. Of course, a broken heart has trouble being social. When she delves back in, who should like her photos but the absent Adena. Coupling that with having to speak at the 10th annual Scarlet Summit, Kat has to start accepting the labels that have been thrown on her, like them or not. And putting her heart back out there when she’s faking being okay with everything is the hardest thing Kat’s had yet to do. It’s time to be who Kat really is, and season three is going to give her that chance to find out what that means. Tune in Tuesday, April 9th, at 8pm on Freeform to find out.